The Dead Sea is an ancient salt water lake located in Israel, and is a highly concentrated source of minerals and salt. The water is so concentrated in salt that a swimmer could literally float! For ages, the Dead Sea has been a destination for travelers all over the world for the incredible effect it seems to have on the skin. Dead Sea cosmetics are a natural extension of this world-wide popularity, effectively bringing the minerals, salts, and mud of the Dead Sea directly to the consumer. Imbibing your skin with natural minerals has the same effect as taking vitamins does to the body. 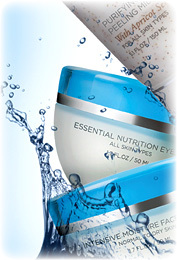 Minerals help to improve the skin’s youthful appearance. Natural is always better than synthetic, which is why all SEACRET products are enriched with the mineral-rich water and salt of the Dead Sea, making the most out of this natural spa. SEACRET also takes care to ensure that all products contain an optimal concentration of Dead Sea ingredients, and our products carry special, standard certifications that verify the source of their ingredients.